Punk Rock Big Year: Thanks for everything. Canadian followers will know and maybe some American ones as well that this weekend was the Canadian Thanksgiving Weekend. The last of our good-weather long weekends. The company I work for, DDB, always gives us four day long weekends during the summer. Unfortunately for me, I had to work Friday on colour transferring a commercial I shot for Subaru a week before. That's OK, I spent the day with Mark (the editor that will work on PRBY), Andrew (the Executive Producer at DDB) and Billy (one of the best transfer dudes in Toronto, maybe Canada). They are all great guys and we usually sit around listening to records while we work. I spent Saturday hanging out with my kids. Early Saturday morning, like every morning, I could hear a flock of Canada Geese approaching my house. I happened to look out side just as they went over. On the right tip of the flock was a Snow Goose! A new bird for the year! I also went to see a movie with Rach called 50/50. I highly recommend it. Very funny at times and very touching at others. Great little film. Sunday, Rachel's new shop, Sunday's Child, was closed for the holiday Sunday/Monday. Read it again, that sentence makes sense. We went apple picking and pumpkin buying with the kids. We never got around to planting our own apple trees or pumpkins this year. We also had a great outdoor dinner for Thanksgiving. It was a great time spent with friends and family. We killed a turkey, but I know it had a humane existence on a nearby farm prior to it's demise. Many of our veges came from our own garden. Monday was not the best but it was a cloud with a silver lining. The kids seemed to have grabbed a sore throat type of cold. Lots of hacking and spitting of phlegm. Both Rachel and I got this one too. Still feeling it today as I head to work. Why am I thankful for that? Well, we folded our couch out into a bed and spent the day renting movies from apple TV and generally just spending time together. In lieu of working Friday while the rest of DDB was enjoying the spectacular weather we were having, I took Tuesday to go birding and shoot some footage for PRBY. I never got a lot of new birds and missed a couple I was trying for but I got two new birds. 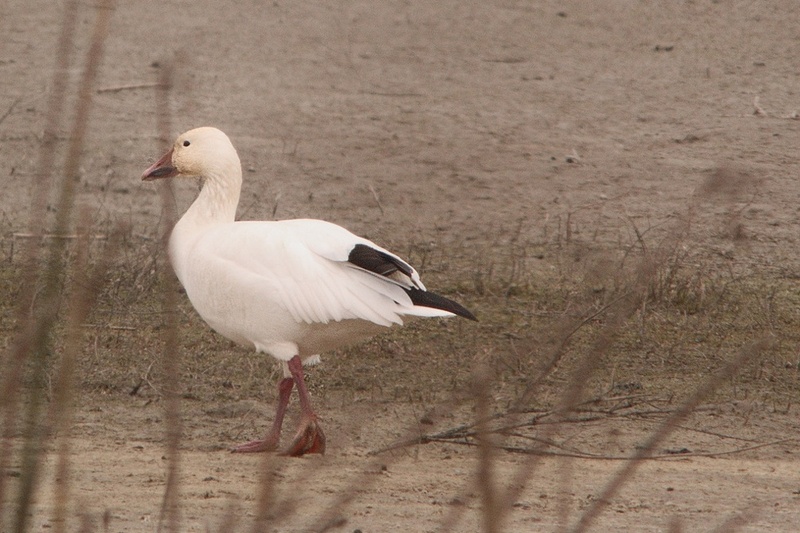 A pair of Trumpeter Swans and a pair of Hudsonian Godwits. It was a great day spent wandering around looking at birds with two great people, Richard Pope and Margaret Bain, my birding teachers. 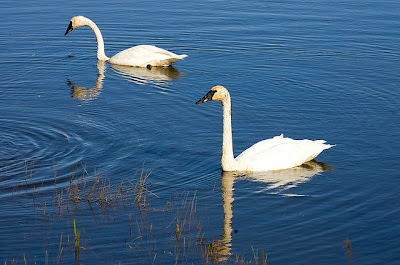 Trumpeter Swan by James Marvin Phelps. Hudsonian Godwit by Henry McLin. 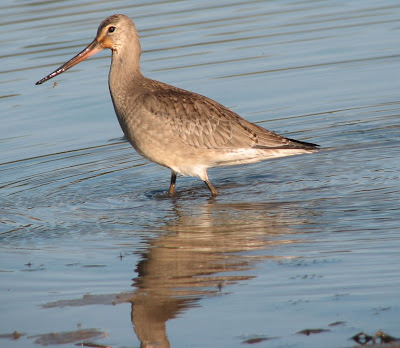 Hudsonian Godwit Digiscoping I did. Thanks to all the people reading and following my blog. This year is drawing to a close. What should I do next year? P.S. Last Thursday I finally got to do a couple hours of tattoos of bird names. We managed to get 13 of them done. I'm realizing that I'll be tattooing well into 2012. It takes longer than I expected. I need a strategy, any ideas? Perhaps a big green year in your own county! It forces you to really get to know the local birds and can help show that we don't need to drive hundreds of kilometers to see a big diversity of birds. Good idea. BUT, if i attempt a big year again anytime soon, it'll be followed shortly by a divorce. maybe 2020?